Create your individual shelving unit using various MANIT units. 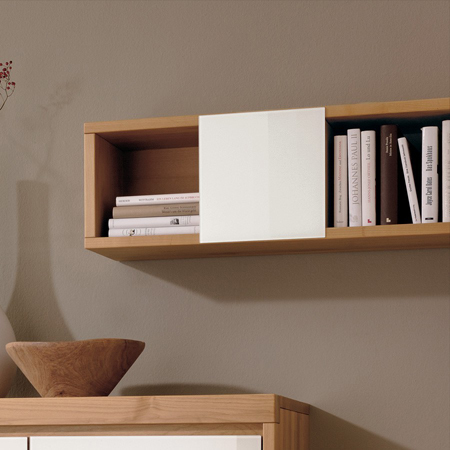 Open, with a door or with an inside box – the angular shelves and suspended units come in widths of 70 or 110 cm. 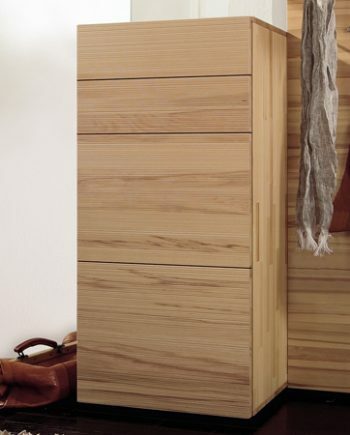 The door fronts are available in brown or white glass; the basic units can be supplied in solid alder or solid oak sand. Size of open suspended units and angular shelves: 28.8 x 70/110 x 27 cm. Size of inside box with glass door: 28.2 x 28.2 cm. Size of wall unit with door: 57.6 x 57.6 x 27.0 cm. Just give us a call to 020 8961 7780, email to info@fcilondon.co.uk or fill in the form on this page.